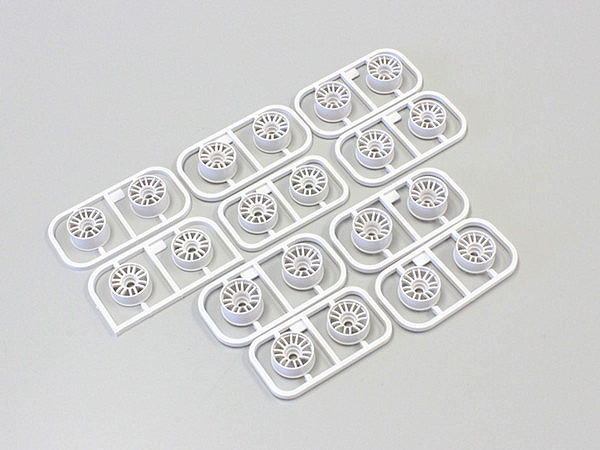 Updated multi offset wheel set for Mini-Z 2WD. RAYS RE30 styling, deleted the N+3.5 and changed to half the quantity of N 0. N+1, N+2, and W-1 are added to the set of the usual offsets. 20pcs. White color is easy to paint.